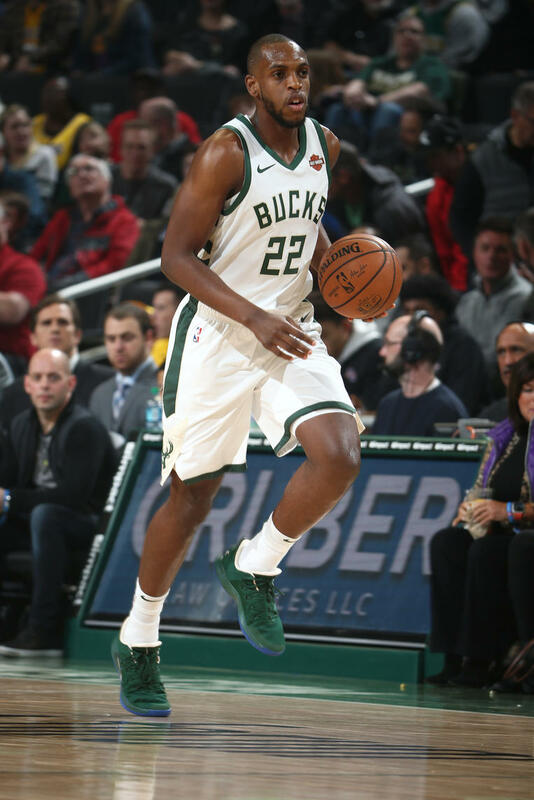 Khris Middleton – File Photo / Copyright 2019 NBAE (Photo by Nathaniel S. Butler/NBAE via Getty Images). Missing nearly half of their roster due to injury, the Milwaukee Bucks fell to the Cleveland Cavaliers 107-102 in Cleveland on Wednesday night. Seven players in all, led by the team’s leading scorer Giannis Antetokounmpo missed the game. Forward Nikola Mirotic also missed the contest after suffering a left thumb sprain and fracture on Tuesday night in a win over the Lakers. Cleveland rookie Collin Sexton hit a three-pointer and a layup in the final two minutes to lead the Cavaliers. He finished with 25 points for the game. 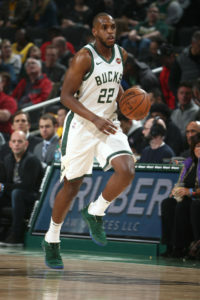 Khris Middleton led the Bucks with 26 points and 12 rebounds. Eric Bledsoe added 24 points, eight rebounds and eight assists. Brook Lopez finished with 19, but the Bucks lead over Toronto for the best record in the Eastern Conference is down to two with 10 games left to play. The Bucks do own the tiebreaker against the Raptors. The Bucks are off until Friday night when they’re back home to face the Miami Heat at Fiserv Forum.